Will San Francisco vote for a YIMBY? This interview by reporter Patrick Sisson is published in partnership with Curbed, in advance of a special project launching this Wednesday that explores four themes affecting California and Texas residents in the places they live. Housing advocate Sonja Trauss first learned about expensive San Francisco living in the mid-1990s. A phone call between her mother and aunt revealed her cousin's living situation in the city’s Mission District: She was sharing a three-bedroom apartment with five people. The situation seemed absurd to Trauss, considering she knew of a similar setup two generations before. “My grandparents in Warsaw—before the war—lived eight people in three rooms,” she says. Trauss, who moved to the Bay Area in 2011, hasn’t been shy about speaking up about the local affordable housing crisis. Founder of the San Francisco Bay Area Renters’ Federation (SFBARF) and a pioneer for YIMBY (Yes In My Backyard), a movement pushing cities to build more housing in order to lower prices and improve economic opportunity, Trauss is taking her advocacy to the campaign trail. Running to represent District 6 on San Francisco’s Board of Supervisors, she wants to promote policies that create more market-rate and affordable homes, and fix an ineffective housing system that leads to higher rents, less diversity, longer commutes, and a pervasive sense of economic insecurity. Patrick Sisson: What does it mean to have an advocate like you get elected and put proposals into practice? Sonja Trauss: If I’m in office, I’ll work to legalize affordable housing all over the city, and continue being an organizer to get it done. We need to have a public conversation in San Francisco: Is local control and letting people prevent their neighborhoods from changing more important than affordability and economic integration? We need to put the need for new housing first, to help make sure people can move around the country, get better jobs, and live their dream. Nobody expected that there would be such a strong push for more housing, but there’s been a demographic change and a philosophical change. If I win, it’s a signal to the entire city of what’s going on. It’ll be such a symbol that this is a real movement. How has tech contributed to the unaffordable cost of living, and what is the responsibility of those working in the industry to do something about it? The common narrative says that the lack of affordability is the fault of tech workers, that they should get involved in politics and that not being involved is just another example of them being bad neighbors. We started organizing—and a lot of SFBARF members are tech workers. Now, the narrative has become that tech workers show up at “our” hearings, and tell us what to do—that they’re new here, and aren’t entitled to say things. What that really means is that they can’t say things you don’t want to hear. It’s not tech’s fault San Francisco spent the last 40 years not building housing. Tech is just the big employer today. It’s not a bad thing to want to move to the city for a good job. I’d never blame someone for that. You know that phrase, “Excuse me for living”? That’s what it feels like here in San Francisco. What’s your stance on Proposition 10, the statewide measure on the November ballot that would give cities more freedom to decide how to implement rent control? I’m yes on 10. I think that 10 is a first step towards our ultimate goal to have the same rent regulations for all tenants statewide. Currently, there are 600 localities in California, and only, like, 16 have rent control at all. If a person is a renter in San Francisco, and they move, why should they lose that stability if their new city doesn’t have it? If it’s a good idea, why shouldn’t everybody have rent control? Yes, I think they should, within reason. You can’t just pick a latitude and longitude. For me, it’s a question of economic opportunity. If you want to live within a 15-minute commute of your job, a region should be able to guarantee that. 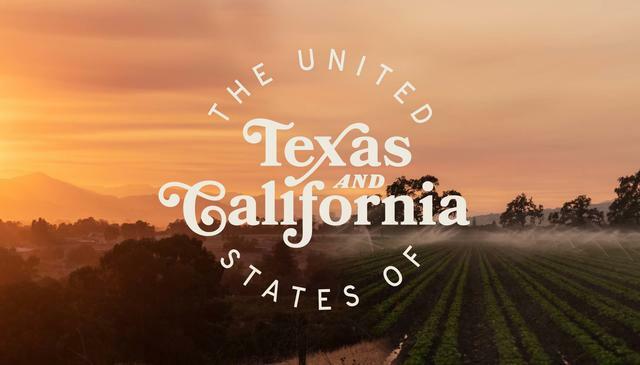 Subscribe to Curbed's special edition newsletter, "The United States of Texas and California." And join the conversation in a new Facebook group over here.